Tony Crowley is a Senior Consultant, Executive Coach, and Facilitator at the World Bank and other international institutions. His method is firmly grounded in real life experience. The wisdom and enlightenment of a lifetime of living life on life's terms, with much success and some failures, is the philosophy on which his coaching is based. Learning from success is easy; learning from failure is often painful and challenging. With many years of business experience in Asia, Europe and the United States. Tony has known both great success and the triumph of failure. As a result, his life guides the practical experiential approach he brings to his work. It is this more than anything else that inspires and motivates his clients. Having faced the challenge of starting life over not once but twice, Tony also brings a profound depth of compassion and energy to all he does. His positive attitude spurs others to seek and find their own path to a happy destiny. 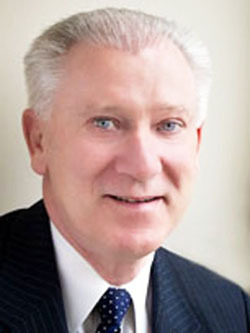 After a distinguished career in the corporate world, Tony completed training in several areas of specialization before embarking on his consultancy practice, having spent considerable periods in India and other parts of South Asia immersing himself in the profound spiritual life to be found there. These experiences have allowed him to blend the ageless wisdom of the East with his own Celtic heritage. This depth of human understanding allows him to be a compassionate, inspiring motivator who is committed to you and to the realization of your true potential. It takes courage to make the difficult decision to take some action when one's life is out of balance and lacks fulfillment. The majority of people choose the easier way, seeking relief from their symptoms, and rarely face what is really troubling them by seeking a solution. The few who face the issue head on and accept the challenge to change, reap the rewards of a satisfying experience and a more balanced and wholesome life. Change is always difficult and can be made even more so by an attitude from early on in life that "I can do this without outside help." Inertia is comfortable and making a significant change in your life is hard to initiate and even harder to sustain. Tony's life coaching will make your journey more focused, measurable and realistic and he will be your companion along the way as you begin the journey of discovery and personal growth.